Are You Making These Marketing Mistakes? Business is a combination of talent and hard work. The talent can only take you so far, so begin by doing your homework. Every business benefits from advertising in some form or another. The key to becoming a name that people can trust is to let them know who you are and what you stand for. Here are a few marketing mistakes that, if avoided, will spare you much grief and money. 1. Not having a marketing plan. What is a marketing plan? It is the way that you will go about promoting your product or service. 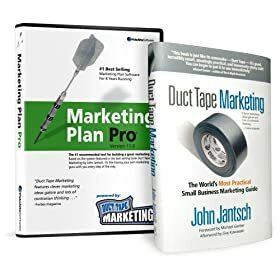 Just like you wouldn’t begin to get serious about your business without a definite plan, it is best not to approach the marketing of your product without a plan. When a product is promoted well, sales increase. 2. Putting all your eggs in one basket. This old saying seems to work in a lot of situations and marketing is one of them. You may find a strategy like email marketing that has been successful for you. But, don’t base your entire marketing plan on that one strategy. In order to grow, diversification is the answer. By not exploring other options, your business will become stunted in no time. 3. Ignoring the value of networking. For business, networking is invaluable. It is the way that entrepreneurs get together to pick each other’s brains. During these “meetings of the minds”, partnerships are struck. You can find someone who will complement your business with a new idea. Joint ventures mean more profits for everyone. 4. Working as a force of one. All businesses need support in some form. There are not enough hours in the day to do it all and still make money. Outsourcing can be your best friend. You can outsource for practically anything that you need. Hire someone to design your web page, answer your emails, and organize your invoices. When these tasks are taken care of, more time can be devoted to marketing the product in new and creative ways. 5. Cutting back on your marketing budget. When business is slow, we can panic unnecessarily. We want to save as much money as we can until things pick up again. Since business is down, we might decide that we don’t need to advertise as no one is buying. That is the worst mistake we can ever make. This is the time to use our extra minutes in the day to beef up that marketing plan to appeal to a wider net of customers. Have you already made some of these marketing mistakes? In this world most things are fixable. Begin again, but this time with the knowledge of what not to do. * Knowing your market fully so that you can provide solutions to their problems. * The ability to speak directly to the core of your target market and connect with them on a deep level. * Being able to niche all of your advertising efforts to target one specific market – this means a better return for your advertising dollars. * Constructing a business system that is completely tailored to one specific market – this means you waste less time on unrelated projects. But just how do you effectively research a niche market? A good starting point for any online business owner is to first start with a topic they are familiar with. This doesn’t necessarily mean all markets/topics will make you money, but it gives you the option of possibly finding a niche you are familiar with and also makes you money. This is important because you will potentially be spending a large amount of time building your website, writing content and promotions for your niche market. The more familiar you are with the topic the better. So start by writing down all of the things you know something about and may enjoy writing about. This could be anything from a special hobby you have to a practical skill. Don’t worry just yet whether the topic will make you money, simply jot down all of the things you are familiar with – the research part will follow later. Once you have your list ready the next step is to narrow it down. Ideally, you want to end up with 3 or 4 topics you’re more passionate about. Finally, when your short list is ready, it’s time to research each topic for profitability. You’ve probably heard that Google incorporating site speed in search rankings, but we already knew speed was important. If your web pages take more than a few seconds to load, you’re going to lose potential prospects. Think about your own internet usage for a moment: do you sit patiently and wait for a website to open? Get up grab a cup of coffee, walk the dog and then come back to see if it’s up or do you click away? Most people click away. They’re searching for information and we’ve become accustomed to instant gratification, at least online. So what’s an internet business owner to do? Make sure your webpages load quickly! Here are 5 ways to design your web pages for fast loading. 1. Watch the size of your graphics – they are the biggest problem when it comes to slow loading web pages. The general rule of thumb is to make sure a graphic takes up no more than 10K on any given page and the rule of thumb is to make sure each page takes up no more than 30K so you can see where your graphics play an important role and why optimizing them is so important. However, before you take that 500X500 jpg and minimize it to 100×100 in the html code of your page, stop! Reduce the size of the image before you put it on the page. Forcing the server to recognize the code and reduce the image size every time it loads, slows down the loading time significantly. And steer clear of flash, it generally loads quite slowly. If you do use flash make sure you optimize the files before you load them onto your server and page. 2. Watch your use of tables – they can also be big files and take up a lot of space. Use tables sparingly, when they make sense and fit into your overall plan. It’s predicted that as we move into the next decade, beyond 2010 that websites are going to become even more streamlined than they are now. Part of the reason is that more and more people are accessing the web from their mobile devices and a streamlined and simply designed website is much easier to use. 3. Clean up your code – often there are bits and pieces of broken code, and cleaning it up will help streamline loading times. 4. Optimize your page for content – content is why people are coming to your website so rather than spending all that time and energy on graphics and colors, make sure your content loads quickly: skip lots of images and links at the top of your pages. Make your content the focus of your site and make sure there are no distractions. 5. Use gadgets and plug-ins sparingly – while these are fun tools that can enhance your user experience, they can also clutter a page and slow down loading time. These five strategies are applicable regardless of the tools and language you use to create your website however, as you or your developer delve further into the website building process there are certain things you can do within each tool or language to increase loading time. Learn the rules and specifications of your chosen website builder and learn how to optimize images and files. Accomplishing this will take you a long way toward achieving a lightening quick load time and happy prospects and customers. I was talking to a person today who was asking about my work as an internet business broker. He was wondering what sort of timelines I see in preparing a good website for sale and how quickly it takes for me to sell it. My response to him is the same response I give to every potential client that asks me how long they should expect it will take to sell their business: it depends entirely on the quality of the internet business. Some website businesses sit on the market for a long time while others are snatched up remarkably quickly. What is the difference between the sites that have to find ‘that right buyer’ and those sites that buyers will trip over to get a chance to buy? It usually isn’t the price point (we’ve had offers on 7 figure businesses within a few days of listing them). If you were to start an internet business today, what would be the best way to build that internet business to fetch the most money possible in the shortest amount of time? Here are four principles that you would ideally follow if you were to build an Internet Business today with the intent to eventually sell it as quickly as possible for the best price possible. The biggest mistake people make when selling their Internet business is that they do not have a clean, easy to read, understand, and verify financial history. If you are looking to sell any business for more than $30,000, having a clean financial history is paramount. A clean financial history will inspire confidence (and reduce the invitation for closer scrutiny), put you ahead of other sites looking to sell, and give buyers quick and easy methods to place a value on your business. Use Quickbooks! If you don’t know how to use Quickbooks, learn. If you don’t like Quickbooks, figure out another common accounting program that will be able to generate profit and loss statements for you. If you absolutely hate doing accounting, then hire a book keeper. If you are building a business to sell, this isn’t ideal, though, as you will want to keep your expenses as low as possible to show a higher cash flow. Incorporate the business as its own entity. It can be a huge mess to try and separate the revenues and expenses for two or more businesses. Don’t have your businesses share the same bank account – separate for the sake of clarity. File very honest taxes. This may be the most difficult thing for a business owner to do. Don’t take expenses on that you don’t need to. Yes, you’ll probably pay more in taxes, but if you can produce tax returns to verify your financials, buyers will go crazy for it. Plus, if a buyer needs to get an SBA loan (only available at this time on acquisitions below $200,000), those tax returns will be used by the lending bank. Don’t mix personal expenses with business expenses. Most business owners do it – those meals with the wife or friends where ‘business’ happens to come up in passing, but 100% of the bill is charged to the business. Most buyers will understand, but if you can avoid doing this it will make verifying your financials quick, easy, and painless. If I were to offer just one piece of advice to any Internet business owner, this is the bit of advice I would give. Keep your finances clean, easy to read, up to date, and easily verifiable. Buyers will thank you (they rarely see well organized financials). I have a great job I would like to offer you. The salary is $100,000 per year. All I need from you is to have you pay me $300,000 and work 60 hours per week for the next 3 years. After that, you may get a bonus check. Do you want to take it? (Hint: you are supposed to say no. If you did say yes, call me – really…). Most buyers won’t take this either. Buyer’s are not interested in buying a job. They want a business, which means you have to build a business. When you can automate part of your business, automate it. Outsource the boring stuff, outsource the specialized stuff, and focus on bringing your total hours as low as possible. I’m personally not a fan of Tim Ferris’s “Four Hour Work Week Book” (although Tim Ferris is a fantastic author, business person, and thinker), but his principles are ideal for building a business that would sell well. Implement those principles and understand this: the more you are crucial to the day to day operations of your business, the less appealing your business will be to potential buyers. The ideal business for sale will have buyers imagining themselves walking in on day one and earning money without having to hurdle a significant learning curve or spend 60 hours per week just trying to keep up with the business model. Get familiar with the phrase “low barriers to entry” and learn to avoid business models that are associated with that phrase. A key question many buyers ask when looking at buying an Internet business is “what’s to prevent someone else from starting up the same thing and being just as successful”? Many website business buyers are not technical in nature and feel as if they are a bit behind the Internet curve. This is why they are looking to buy an established Internet business – it takes some of the guess work out of having a successful online business. Make your business difficult to copy and emulate. In a competitive field this may require having a unique blend of vendors, a core set of keywords that you rank well for, and a blend of partners that drive traffic to your site. Alternatively this may be finding a nice niche without a lot of competition that you can quickly dominate. Even if there is nothing to prevent someone from entering your market, being able to point to a loyal customer base is something that cannot be replicated in a few months. While assuring that you have entered a market that has some challenges to enter into, be sure to build some stability. If you rely on vendors or suppliers to supply products, don’t rely too heavily on just one vendor. Similarly, if you receive most of your web traffic from a handful of well placed organic ranking keywords, figure out how you can stabilize your market. Always ask yourself what you would do if one key component of your business disappeared tomorrow. Don’t rely on any one person, company, or vendor to be loyal to you or your company. Not all businesses grow forever. Entrepreneurs especially have a tendency to get their businesses to a certain point, and then find that they are unable to bring it to the ‘next level’. Know your limits and skillset and sell before you hit your limit. It’s fun when its growing, it’s not fun when its shrinking. The reason so many Internet business owners miss out on the best time to sell is that they are having too much fun. When times get rough, however, and their businesses are no longer putting charge in their day (and similarly are no longer putting green in their bank accounts), they think it is a good time to sell. Ask yourself why someone else would find your business fun when you no longer find it fun? Chances are, not as many people will be interested. Don’t max out your value. Buyers love to see a clear path for continued growth. Few Internet business buyers are in this business to hold a steady asset. This is a high risk, high reward type of acquisition which usually attracts those who want to see big dividends for their investments. Don’t exhaust all the growth potential of your business and paint a clear picture for a new owner so they can see just how easily they can grow what you started. Building the ideal business to sell involves making a lot of decisions that may not make the best business sense. As always, you need to weigh the potential benefits of selling your business against what is good for your business today. I personally wouldn’t recommend following all of these principles to the letter, but rather follow the spirit of these principles as they can apply best to your individual Internet business. Buyers are constantly seeking quality online businesses to buy. If you can carry some of these traits, and carry them better than other, similar businesses for sale, you’ll have buyers tripping over themselves to make you a quick, cash offer. ==>> Mark Daoust is the owner of Quiet Light Brokerage, an Internet Business Brokerage firm. Designed for professionals to network with other professionals, LinkedIn isn’t like other social networking sites. It’s ideal for finding service based companies to work with and if you’re a service company, it’s a great place to be represented. Like many social networking sites, users can invite, create and join groups and search for like minded individuals. However, LinkedIn offers much more. • Receive Recommendations – Other business owners can boost your profile by recommending you and your business. • Create Groups – Like Facebook, you can create a group for your target audience to join. This gives you the ability to connect with and market directly to them. • Utilize Applications – LinkedIn offers applications like Blog Link, Polls, and Reading Lists to help you enhance your profile and connect with others. • Advertise your business on LinkedIn for more awareness, traffic and exposure. LinkedIn is a fantastic opportunity to build your professional network. Along with Facebook and Twitter, and any other social networking tools you choose to use, promoting and growing your business just got easier.